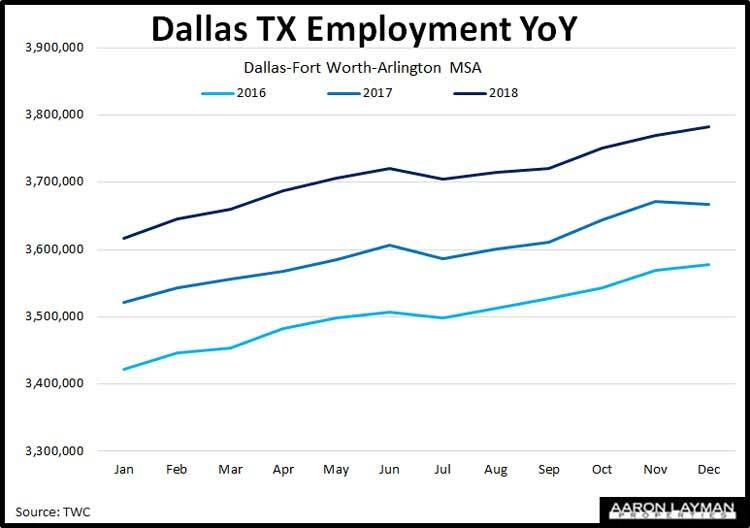 Dallas-Fort Worth employment numbers show that the DFW economy was still on solid footing in December. While local job growth has been slowing a bit, the economy has been rather resilient. Texas posted annual employment growth for 104 consecutive months in December 2018. The state unemployment rate stood at 3.7 percent. 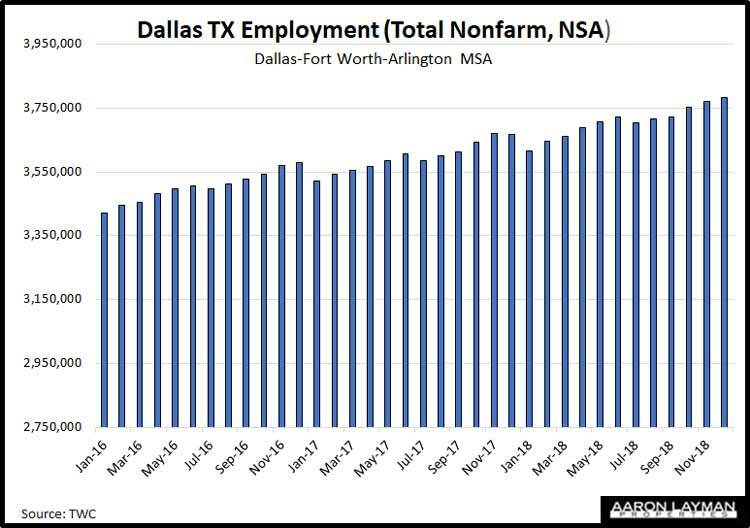 Unemployment in Texas was near record lows for a third consecutive month as we ended the year, and unemployment in the DFW area was lower than the state average at only 3.3 percent. 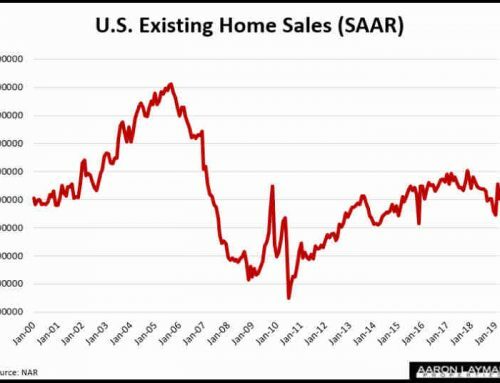 With the recent slowdown in the economy, it will be interesting to see if this is as good as it gets. The Dallas Fed’s Leading Index decreased 3 percent in December. Growth was negative in almost all components and there was a moderate increase in new claims for unemployment insurance. The December nose-dive in financial markets spooked a lot of people, and even the Fed was forced to acknowledge that Texas is not immune from volatility in our hyper-financialized economy. These are the good times, when unemployment is at record lows and the DFW economy is still adding jobs. 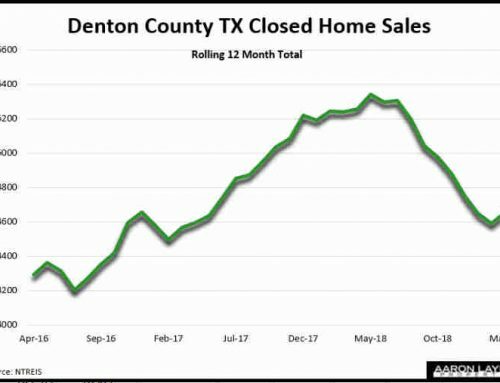 This is why it’s a bit unusual to see area home sales decline in such a significant fashion during the last few months in the Dallas-Fort Worth area. 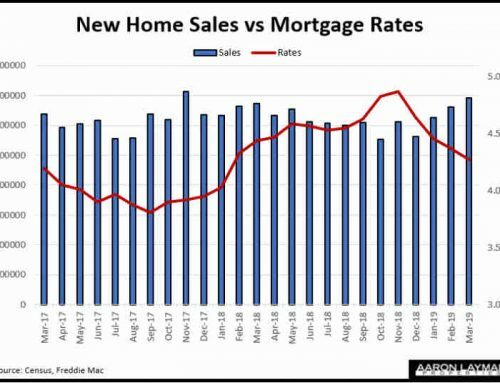 This is the kind of activity you would normally see in a recession. Most local economist aren’t even forecasting a recession. 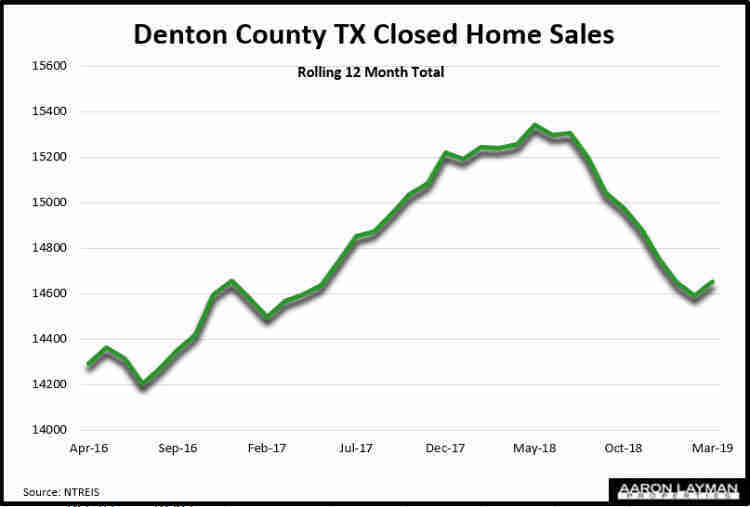 It’s not just the DFW economy that is slowing down. Global growth in general is slowing. 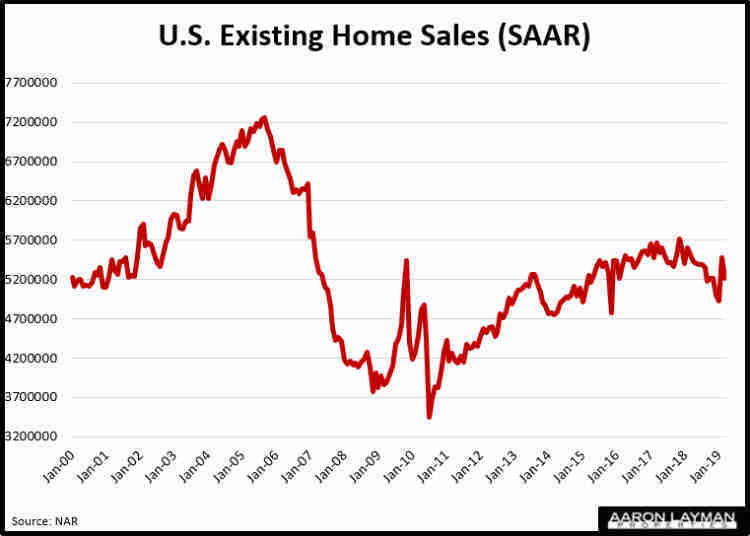 This is not really surprising considering the massive amount of central bank intervention that has been propping up asset markets during the last decade. We are looking at the maturity of a business cycle that has been extended by central bank intervention. It is important to remember, precisely that. 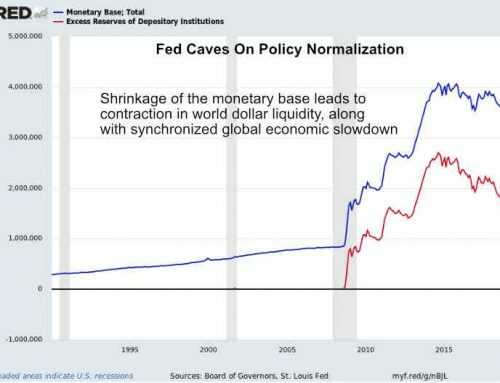 The Federal Reserve has not and cannot prevent the market cycle, as much as they would like to believe otherwise. All they can do is delay the consequences, creating more market imbalances and distortions. 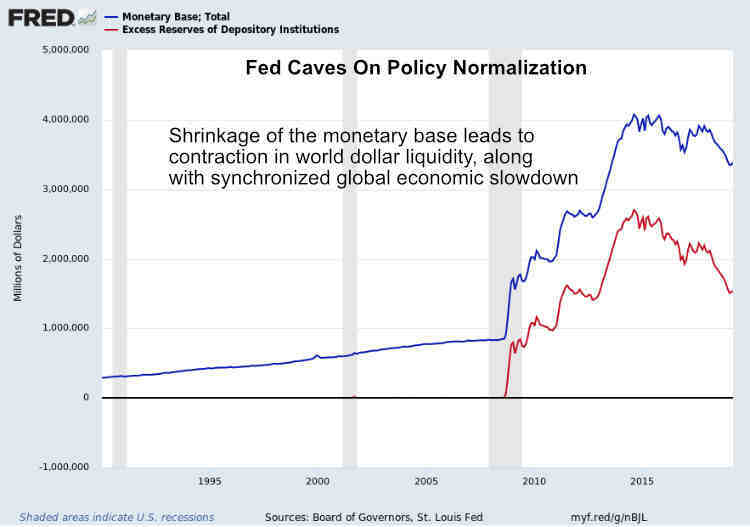 This is the ultimate folly of central bankers, the prime enabler of political mismanagement. The January rebound in the markets has provided us with yet another glaring example of central bank can-kicking interventions. 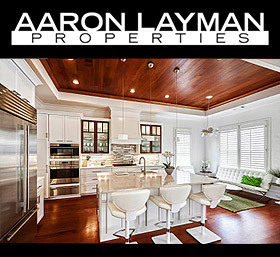 For the time being the local real estate market is still functioning normally. 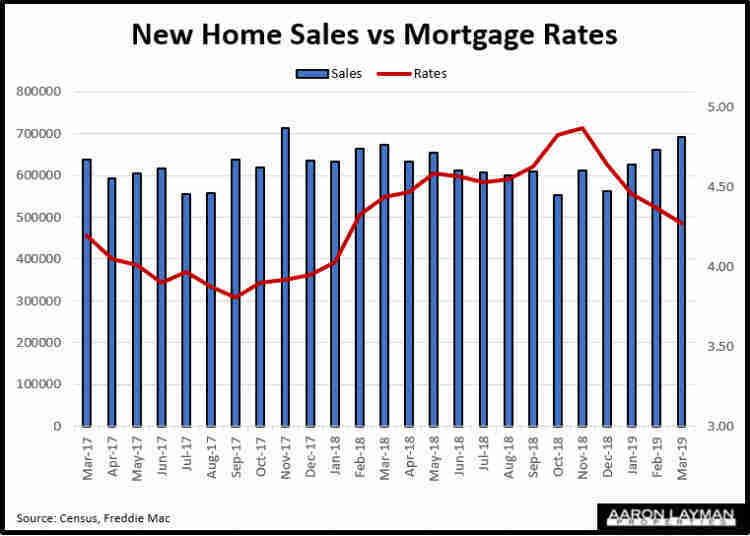 Good homes are still selling and prices are relatively stable or even growing in many DFW submarkets.